Igazolt biztonságos vásárlás. Gyors pénzvisszafizetés. 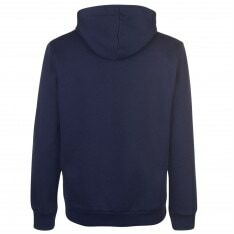 The Mens Puma No1 OTH Hoody is a great addition to your casual wardrobe, crafted with a large pouch pocket to the front along with a lined hood with an adjustable drawcord, a ribbed trim to the cuffs and hem and a soft fleece lining provides a warm and comfortable fit, completed with the Puma branding to the chest.